Berlin-based English and German rockers, Art Brut know how to keep the celebrations going, even beyond what seems appropriate for the now middle-aged ensemble. Following a seven-year hiatus and the subtle decline of the “Art Wave” indie-rock scene of the 2000s, which established the band’s cult following, these self-proclaimed outsiders have finally released the newest edition to their franchise. Wham! Bang! Pow! Let’s Rock out!, released on November 23, is the band’s fifth studio album and takes a bit of a turn away from their most recent work, which many listeners found a bit too tragically aimed at the “goofy loser” complex that singer Eddie Argos seeks to embody. This time, however, Argos and his band members finally seem to have grown up a bit. Although the cheeky, party-rock anthems still ring true for these Europeans, they now take the back seat to cheerier and more grown-up ideals. Opening with the celebratory incantation “Hooray!,” Art Brut sets the tone of their newfound lust for life while also reconciling their past with lyrics such as, “If it wasn’t for mistakes being made, that I wouldn’t be here today.” With Argos’ sprechgesang vocal style, known for his expressionist and recitative flair, telling listeners to “close our eyes and hold on tight,” audiences better buckle their seatbelts and prepare for what the rest of the album has to offer. The boisterous style continues with “Too Clever,” in which Argos’ familiar boastful, yet playful, bragging comes forth when he yells that he’s “too damn clever for his own good.” “Kultfigur” cements the band’s place in the realm of art rock, when Argos exclaims, “Don’t snicker! It’s not about making the band bigger.” It seems as if they know a committed cult following when they see one, and they aren’t too shy to make it known to the world. Meanwhile, the sensitive nature which lies beneath the cool exterior of these men is exposed in the songs “She Kissed Me – And It Felt Like a Hit,” “Schwarzfahrer” and “Veronica Falls,” all of which lean towards a punk sound while expressing true, heartfelt emotions. In “Schwarzfahrer,” Argos sings of just wanting to make it off public transportation so that he can make it to the destination of his lover, while in “Veronica Falls” he tenderly speaks of a moment between two people who are “waiting for something to happen,” both sentiments which may be familiar to many listeners. 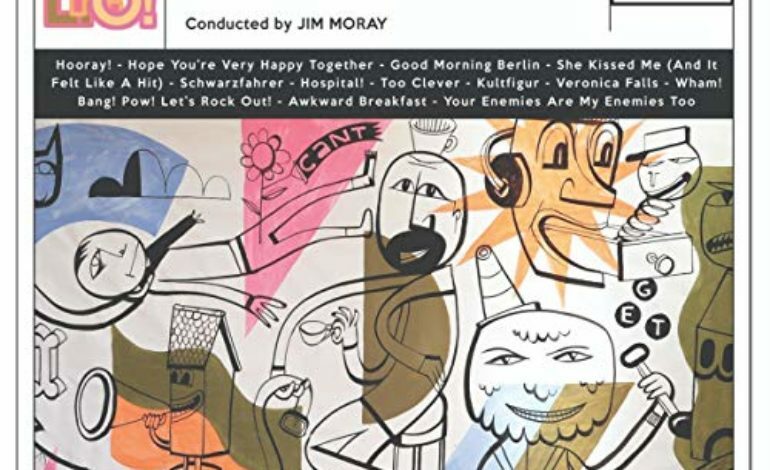 Breaking away from these gentler refrains of desire, the band gets back to reality with “Good Morning Berlin” and “Awkward Breakfast,” which tell of the all too familiar sensations of walking around your home city or waking up next to a stranger, unsure of the previous night’s events. Altogether, Wham! Bang! Pow! Let’s Rock out! tells the story of European rockers who have matured into good-natured, humorous souls, while still making room for a wild night or two. Whether or not the party will continue into the future, audiences will just have to wait and see.